The story of Willie Boy, a love struck young Southern Paiute-Chemehuevi man who murdered for love and eluded the San Bernardino sheriff’s posse for days, is a true and timeless and living story, one that’s colored the storied inland southern California landscape where it occurred in late Sept.- early Oct, 1909. It’s a tragic story of young, forbidden love that reaches “Romeo and Juliet” proportions and whose tellings and re-tellings in the decades since—through books, articles, theater productions, and film, told largely by Anglos—have continued to evolve across the cultural and geographic divides that comprise the Inland Empire and Mojave Desert as well as the Anglo-European worlds of the early 20th century and the ancient culture of our region’s Native Americans. Now, a compelling and exciting new book about the Willie Boy incident, “A Chemehuevi Song: The Resilience of a Southern Paiute Tribe,” published this year by Indigenous Confluences Press, has risen on the horizon, written collaboratively by Dr. Clifford Trafzer, distinguished history professor at UCR who was appointed Rupert Costo Chair in American Indian History in 2007, along with members of the 29 Palms Band of Mission Indians in eastern Riverside county, who are descendants of the family members involved in the Willie Boy incident. 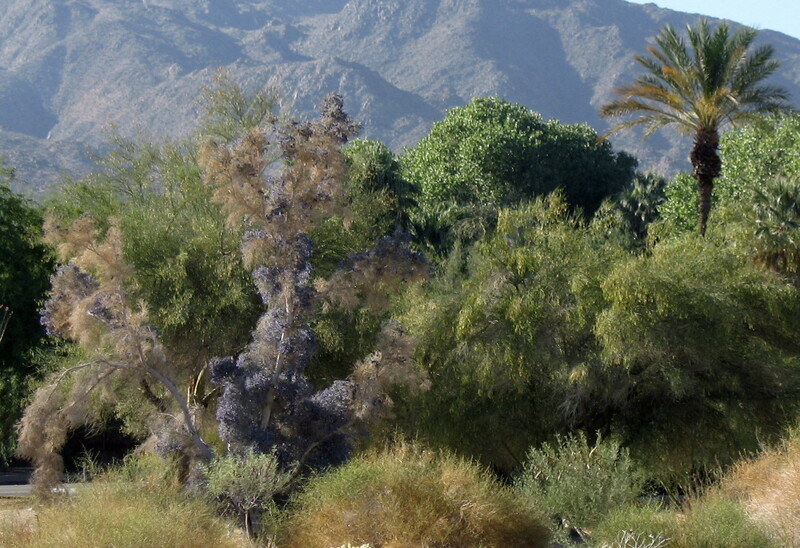 “The Willie Boy incident in 1909, which played out across the national media, was a watershed event in the history of the members of the Southern Paiute-Chemehuevi tribe who lived at Oasis of Mara (now 29 Palms Oasis) at the time,” says Trafzer, who presented a lecture at the UCR-Palm Desert campus this past October 5, to discuss his new book. “A Chemehuevi Song” is, he says, a song in itself, a song which began for him when he came to participate in tribal activities with members from the 29 Palms Band of Mission Indians in 1997, and has continued to emerge as he’s worked with tribal members to this day. The book, while giving Native accounts of the heretofore highly disputed story of Willie Boy—especially the claim made by the San Bernardino sheriff’s posse in 1909 about Willie—also sheds light on how the incident forever and radically changed the lives of the extended family members and other Chemehuevi living at 29 Palms in 1909, as well as shaping the lives of their descendants to this day. In fact, the Oct 5 lecture was attended by many members of the 29 Palms Band of Mission Indians who worked with Trafzer to complete their book and who also spoke at the lecture, including elder Joe Mike Benitez, Dean Mike, and Jennifer Mike. More than anything, according to Trafzer and Chemehuevi contributors, “A Chemehuevi Song” stands as a testament to the power of perseverance of this small, nomadic band of Native people, who have been largely marginalized by European settlers, other Native groups, and until now, their stories have been largely overlooked. The book reveals how members of this Southern Paiute band have survived the past two centuries without rights to their Mojave Desert homeland, or any self-governing rights, and in fact were largely “forgotten” until the creation of the 29 Palms Reservation in 1974. Since then, the tribe has formed its own tribal government and now a thriving gaming industry. Trafzer worked with the Chemehuevi for more than 10 years, gathering stories from the tribe and other Chemehuevi across the Mojave that demonstrate how they’ve survived using sacred songs and other cultural practices to persevere with strength and independence, in spite of great odds, including the tragic and family-shattering Willie Boy incident. 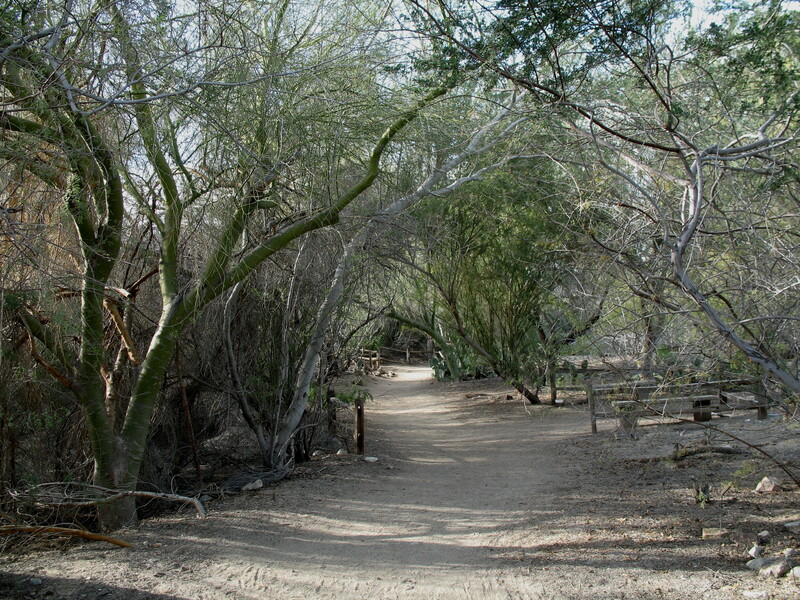 By focusing on individual and family stories, “Chemehuevi Song” offers a new structure for how tribal histories can be presented and shared, and also, critically, offers firsthand indigenous accounts of the events surrounding the Willie Boy tragedy as well as how this crucial event has impacted tribal lives, even to this day, and strong evidence presented by the tribe as well as by other historians and other Native leaders in recent years has presented strong evidence that Willie Boy got away, escaping the posse not through suicide but on foot, and lived for many years afterwards in remote parts of the desert. “A Chemehuevi Song: The Resilience of a Southern Paiute Tribe,” is a compelling and necessary read for all who are interested in Inland Empire/desert regional literature, as well as those with an interest in our region’s American Indian history and cultures and their emerging, strong voice in shaping the literature here. For this powerful new publication brings together a chorus of voices, present and past, to tell the story of the tribe’s persistent efforts to gain recognition, independence, and also to tell their own stories of their history and landmark cultural events. This is more than a book. This is a song, comprised of many voices, a song that rings out powerfully as it’s sung across the land. 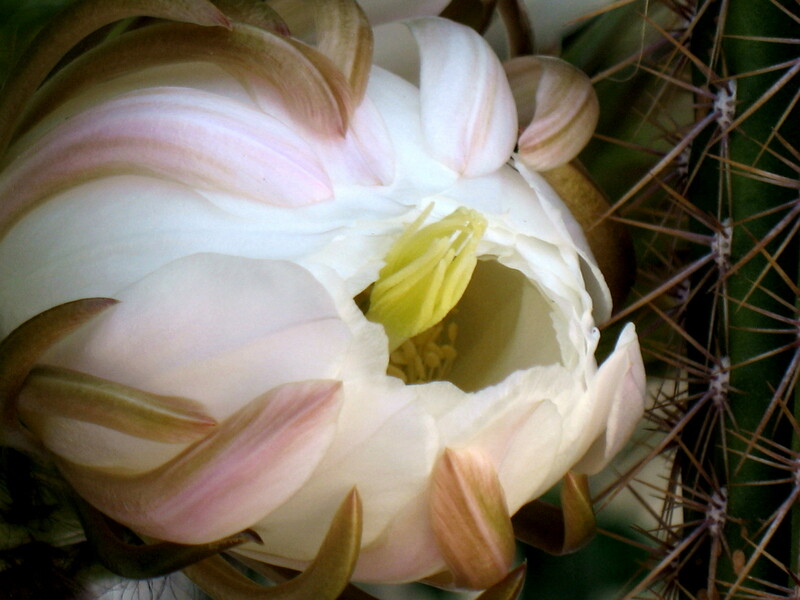 Since moving to Palm Desert several years ago, Tami Sigurdson [“smoke trees in bloom“, “easter lily cactus pod“, “living desert pathway“] has been capturing the striking contrasts of the flora and fauna of the desert and its unique beauty with her photography, which she continues to further her interests in. Coupled with the images she creates, she most enjoys putting pen to paper and spends her spare time writing poetry and short stories reflecting on her keen interest in social studies and life experiences. There was a chlorinated sea once upon a time. A turquoise pool infused with slants of golden sunlight. The strokes of a little girl’s browned flesh flapped against the water, lap after lap; a foamy background to the day. Her curly head moved to the left to breathe, to the right to breathe, and to the left again, like some nursery rhyme yet unwritten. Another little girl almost a mirror replica of the first one except a little chubbier, lay buried in bubbles, battling in the Jacuzzi against dragons of steam. The little girl’s toes sworded through the water as she held onto the edge of the pool floating on her back. The third little girl, the youngest, floated across that same water making animals from clouds in a bubble above her head. Her long dark hair fanned out, an ode to Ophelia in her watery grave. Their father, dear father, sizzled thick steaks on the grill, a cigarette in one hand a spatula in the other, smoke filling the air. The florescent yellow potato salad and rolls sat quietly on the scarred picnic table, paper plates and the plastic tub of margarine keeping them company. The three little girls, for some reason, at the same moment, all took a deep breath and inhaled Kool menthol cigarettes mixed with charred flesh, a deeply satisfying dysfunctional potion. Just then their mother, dear mother suddenly appeared in a Chinese red smock soiled with bits of greasy foo young and shrimp. Her eyes tabulated magically, with one look, the empty Budweiser cans. The mother frowned then her eyes moved to the three little girls. Ordering them out of their sea of fun; to lie one after the other on blue and white faded striped bath towels; lying, drying baking. Three little girls with waiting tummies growling for rib eyes steaks and mustardy onion infested potato salad that even now they taste and savor. Once upon a time this azul rectangular sea would hold the middle girl, the chubby twin, during the day and soothe her at night. Just knowing it lay outside her window gave the little girl; all the three little girls most likely, courage to face the dawning night. This simple body of water gave the girls the strength to survive the nights of shadows making puppet monsters on the ceiling and closet door, nights reeking of rising words in a Holly Hobby oven of hate. The three little girls never knew when their slumber would be transformed into dense forests of fear, when their father, dear father, would wander away from home into bars. Then, only then, would those three little girls be thrown into a nightmare of hiding on the roof or running underneath tears of stars. Sometimes, more than once, they would flee to the park, but a block away… Yet this land could not be the same as the one they lived in during the day; it could not be. They were somewhere else, a Nightmare Never Neverland. The girls would stay in the pool in the glittering day as long as they could. Under the covers in the darkening night they would try to do the same; trying to remember the pool was out there. Trying to remember, that tomorrow no matter what happened, they would all be there in the land of turquoise sea, in the sun, alive and well. John Wayne’s last film The Shootist was on the television. The three little girls played Monopoly in the living room as their dear father watched television smoking cigarette after cigarette as “The Duke” played a dying man with cancer. If the three little girls could time travel they would see their father ironically playing that same story out in thirty years, wheezing out his last breath, the dark magician of death waving the wand of pancreatic cancer to seal their father’s fate, two months after diagnosis. Maybe, if the wife had access to this crystal ball she would have been kinder, more loving and less sharp with words to her dear husband. Maybe if the mother would have gazed back into that crystal ball she might have seen the damage she would cause the three little girls with her fits of chaotic rage. nbsp; Maybe is a hideous word, ugly in its hope. There were no maybes as the night dawned dark and heavy with tension curtaining the house with every throw of the dice. The twins fought over a move in the game. The older twin cheated, the younger twin threw the board. The youngest sat there calmly as the two bickered, made up, and the game resumed. It was Saturday night and cleaning time for their dear mother. She washed clothes, picked up the mess left by cyclones of childhood, and cussed the entire time. The three little girls paid it no mind, they knew danger, but it had not yet appeared. The father’s show ended. Now it was night. Darkness settled over the land as did the flight in the father’s soul. “I’ll be right back girls,” the father slurred, “I need cigarettes and more Budweiser. I’ll bring you each back a present. I shall get you a Payday, you a Big Hunk and you a Twix.” He patted each girl’s head as he walked slowly out the door. “Daddy hurry home ok,” said the youngest. The father walked out into the night. The night filled with plenty of maybes. Maybe I’ll just stop for one drink at The Palomino, one game of pool. The mother heard the blue Ford pick up truck’s engine as she moved the clothes into the dryer. She walked into the house with a plastic basket filled with clothes. “Stop playing that game. Help me fold these clothes,” the mom ordered. The girls silently began folding the clothes their sibling bickering done. They were one now. A climate of fear pervaded the house. “Where did your dad go,” the mother asked. She was already different, the metamorphosis had begun. “He went to go get beer and cigarettes,” the eldest answered, “and he will be right back, he said so.” There was no answer from the mom. The minutes ticked by each longer than the last. Five minutes turned into ten minutes, ten minutes to eleven, to twelve, to thirty. The Monopoly game was put away as were the clothes. The three girls took their baths. Still the father did not reappear. Thirty minutes became an hour. The hand of the clock shoved and pushed the mom’s rage higher, now cuss words were dangerous blows. They fled from them, from the TV, into the middle twin’s room as it was the furthest away from their once dear mother who changed, with warning even, into the darkest of witches. One whose wild curly hair and words made them cringe. They sat in the middle girl’s room and looked at the pool reflecting on the day. “We had so much fun today. We should go to sleep,” the eldest girl said. The words made sense logically but words of logic did not rule this dark land. “I want to look at the pool,” said the youngest, I don’t want to go to sleep. We might have to get up.” They sat on the bed quietly, the door closed against the spells of rage and the curses against them and their dear father…Then, the roar of the witch’s car. How long did they have? How many minutes would it take the witch to drive from their home to the bar and back? What if he was at a different bar? How long to the next bar? Experts they were at grabbing blankets, pillows and jackets. Out into the night they went hoping no one would see their shame. What fairytale law had they broken to take away their kingdom and transport them to this one? Their footsteps were almost silent. They knew way to the park. They knew their way back it was only over the corner to the right. The park was their night fortress. The park was their mother now that the witch had taken oven their dear mother’s form. They made it in five minutes, and lay inside the stinky pee king of cheese. They lay together, feet in sneakers, with their pajama bottoms poking out of their jackets. The twins had Wonder Woman pajamas on. They loved The Justice League. The youngest girl’s Snow White long nightgown shone in the moonlight. A long time they slept, awakened by the calls of the witch out the car screaming for them. “Not yet, he’s not home yet. I can tell by the sound of her voice,” whispered the youngest. The three little girls fell back into a non-deep sleep for what seemed like days, the longest of nights. The middle girl, the chubby twin, dreamt of the sea outside her window. In her dream she and her sisters swam in slants of golden sunlight surrounded by the azul waves created by the strokes of their arms in unison stroke after stroke. The Darkest Night Fled Suddenly As Did The Witch. “Come get him. He was fast asleep on the toilet, good thing I clean the restrooms before locking up.” The owner had called the house at 2 am just when the witch was throwing out all of the father’s clothes on the front lawn. “Girls come home. Girls come home…” No more words best left to the devil. The three little girls were no longer hated. They were loved and even though it was night they could once again feel the sun’s rays upon them. They came willingly into the car. They walked like puppets, strings pulled by the mother’s fingers; into the house where on the table lay a Payday, a Big Hunk and a Twix. Cynthia Anderson is a writer and editor living in Yucca Valley, CA. Her poems have appeared in numerous journals, and she has received poetry awards from the Santa Barbara Arts Council and the Santa Barbara Writers Conference. Her collaborations with photographer Bill Dahl are published in the book, Shared Visions. Lee Balan was the first editor and art director for Beyond Baroque Magazine in Venice, CA. His poems and stories have been featured in several magazines including Phantom Seed, Sun-Runner, and Storylandia. He was the facilitator for the Tenderloin Writer’s Workshop in San Francisco. His background in mental health has been a major influence on his work. Lee has been the featured poet at several events and venues including the Palm Springs Art Museum. Recently, Lee self published his first novel Alien Journal. Nancy Scott Campbell has been a desert hiker and resident for more than twenty years. She has been a mediator, has taught English as a second Language, is a physical therapist, and is delighted with the workshops of the Inlandia Institute. With their girls grown and independent, Marcyn Del Clements and her husband, Richard, have more time to pursue their favorite activities: birding, butterfly and dragonfly watching, and fly-fishing. Marcy is published in Alaska Quarterly Review, Appalachia, Eureka Literary Magazine, Flyway, frogpond, Hollins Critic, Literary Review, Lyric, Sijo West, Snowy Egret, Wind, and others. Mike Cluff is a fulltime English and Creative Writing instructor at Norco College. He has lived steadily in the Highland and Redlands area since 1998. His eighth book of poetry “Casino Evil“ was published in June 2009 by Petroglyph Books. Rachelle Cruz is from the Bay Area but currently lives and writes in Riverside, CA. She has taught creative writing, poetry, and performance to young people in New York City, the Bay Area, Los Angeles, and Riverside. She hosts “The Blood-Jet Writing Hour” Radio Show on Blog Talk Radio. She is an Emerging Voices Fellow and a Kundiman Fellow, she is working towards her first collection of poems. Sheela Sitaram Free (“Doc Free”) was born in Mumbai, India and has spent equal halves of her life in India and in the United States. Her BA in English Literature and Language, MA in English and American Literature and Language, MA in Hindi, PhD in the Contemporary American Novel-novels of John Updike-and her twenty four years of teaching all across the United States in Universities, colleges, and community colleges reveal her lifelong passion for the power of words, especially in the context of world literature and writing. Her collection of poetry entitled “Of Fractured Clocks, Bones and Windshields“ was published in February 2009 and nominated for the Association of Asian American Studies as well as the Asian American Workshop awards in 2010. She has been writing for over 20 years, but it was the Inland Empire that inspired and motivated her to publish; she has simply loved being a part of it for 9 years now. It is home to her and she draws a great deal of material from it in her poetry. Karen Greenbaum-Maya is a clinical psychologist in Claremont, California. She has been writing since she was nine. In another life, she was a German Literature major and read poetry for credit. She has placed poems and photographs in many publications, including Off the Coast, Umbrella, Abyss & Apex, qarrtsiluni, Poemeleon, Lilliput Review, In Posse Review, and Sow’s Ear Poetry Review. She was nominated for the 2010 Pushcart Prize. Her first chapbook, Eggs Satori, received an Honorable Mention in Pudding House Publications’ 2010 competition, and will be published in 2011. Valerie Henderson is an MFA Fiction student at CSUSB. More of her work can be found in The Sand Canyon Review. Edward Jones is a graduate of UC Riverside’s MFA program and has been published in Faultline, Crate, Mosaic, and Inlandia: A Literary Journey. Judy Kronenfeld is the author of four poetry collections including “Ghost Nurseries,” a Finishing Line chapbook (2005) and “Light Lowering in Diminished Sevenths”, winner of the Litchfield Review Poetry Book Prize (2008). Her poems, as well as the occasional short story and personal essay have appeared in many print and online journals including Calyx, Cimarron Review, The American Poetry Journal, Fox Chase Review, The Innisfree Poetry Journal, Natural Bridge, The Hiram Poetry Review, Passager, Poetry International, The Spoon River Poetry Review, Stirring, The Women’s Review of Books, and The Pedestal, as well as in a dozen and a half anthologies or text books, including Bear Flag Republic: Prose Poems and Poetics from California (Greenhouse Review Press/Alcatraz Editions, 2008), Beyond Forgetting: Poetry and Prose about Alzheimer’s Disease (Kent State University Press, 2009), and Love over 60: An Anthology of Women’s Poems (Mayapple Press, 2010). She is a lecturer Emerita—after twenty-five years of teaching in the Creative Writing Department at UC Riverside. Her new poetry collection, “Shimmer,” has just been accepted by WordTech Editions. Associate Fiction Editor Ruth Nolan, a former wildland firefighter and native of San Bernardino and the Mojave Desert, teaches Creative Writing and Literature at College of the Desert in Palm Desert. She is a poet and prose writer with works forthcoming in New California Writing, 2011 (Heyday, 2011) and in Sierra Club Magazine. She is editor of No Place for a Puritan: The Literature of California’s Deserts (Heyday, 2009) and a contributor to Inlandia: A Literary Journey (Heyday, 2006) She has collaborated on two film projects, “Escape to Reality: 24 hrs @ 24 fps” with the UCR-California Museum of Photography (2008), is a writer for a film in progress, Solar Gold: the Killing of Kokopelli (2011), and represents our region’s deserts in the “Nature Dreaming: Rediscovering California’s Landscapes” public radio series sponsored by Santa Clara University and the California Council for the Humanities (2011) She lives in Palm Desert. Cindy Rinne has lived in the Inland Empire for 29 years. She is an artist and poet. 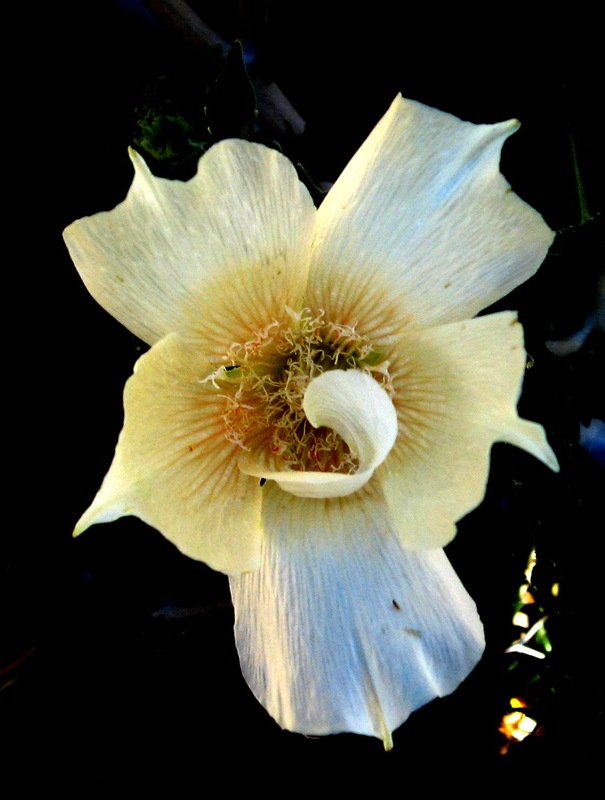 Her poetry includes nature inspiration, parts of overheard conversations, observations on walks, life events, and her response to her own artwork and the works of others. Except for a short-lived adventure to Long Beach, CA, Heather Rinne has lived in the Inland Empire her entire life. She grew up in San Bernardino and attended college at Cal Poly Pomona where she received a BFA in 2008. She loved and still loves exploring the art community in the downtown Arts Colony. A fire took her parents’ home, the home where her childhood memories lived, in the fall of 2003. Even with the unexpected chance to move, her parents decided to rebuild on the same lot. Back in the place where she grew up, she makes new memories. She currently works as a Graphic Designer and Photographer out of her home office and dances at a studio in Redlands. She enjoys Redlands because it has a lot of history and is only a short trip to the desert, the city, the mountains, and the ocean. Ash Russell is an MFA candidate at CSUSB. She has been telling stories since she learned how to speak and writing since she learned to string the alphabet together. She relearns regularly that the magnitude of space is emotionally devastating. Mae Wagner is firmly rooted in the Inland Empire area and sees Inlandia stories everywhere just waiting to be told. She says, “writing has always been a passion, but was largely relegated to the back burner while she focused on raising a family, earning a living, and going to school.” Over the years, as a longtime Inland Empire resident, she has written for a public relations firm, the Riverside Chamber of Commerce, The Chino Champion newspaper, and had several columns published in the Op-Ed page of the Press-Enterprise when it was locally owned, including a noted investigate journalism series focused on a landmark environmental case involving the Stringfellow Acid Pits in Glen Avon, just west of Riverside. She currently writes a column for her home town paper in Hettinger, North Dakota and is enjoying being a member of the Inlandia Creative Writing Workshops, which she has attended since its opening session in the summer of 2008. As a child, Rayme Waters spent some time each year at her grandmother’s house in Rancho Mirage and watched the desert cities grow up around it. Rayme’s stories have been nominated for the Pushcart Prize and the Dzanc Best of the Web and have been published most recently in The Meadowland Review and The Summerset Review.